SPECTRA is Aberdeen’s Festival of Light that has brought a spark of inspiration to the winter months in the North East since 2014. Growing from a pilot to a major event in just 3 years the 2017 event attracted over 63,000 visitors to the city to experience world class artworks in the public realm, 2018 attracted over 93,000. In only three years our close partnership with Aberdeen City Council has strategically grown SPECTRA from a small, local arts event into one of the stand out major cultural events of the North East. 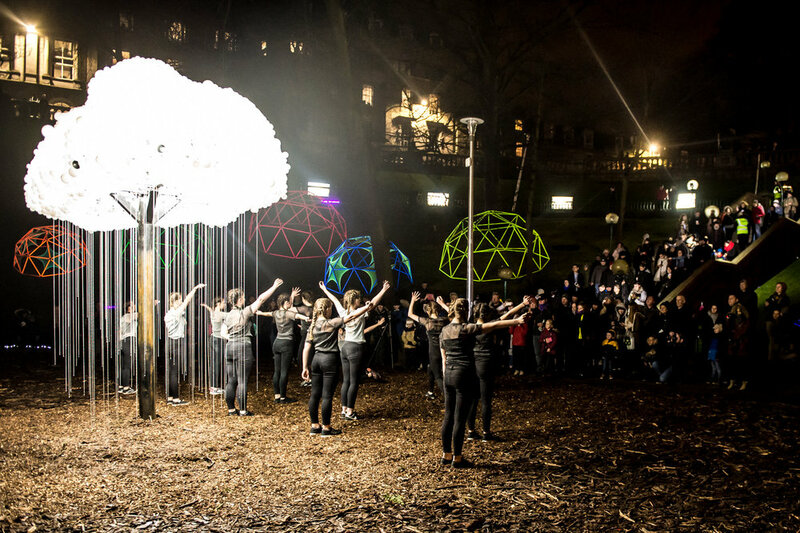 The festival was supported by Aberdeen City Council, Creative Scotland and supported the public delivery of the Creative Europe funded ENLIGHT project. Featuring major public realm installations alongside new experimental works from the North East’s creative community the festival enlivened the city and celebrated Aberdeen’s creative past, present and future. 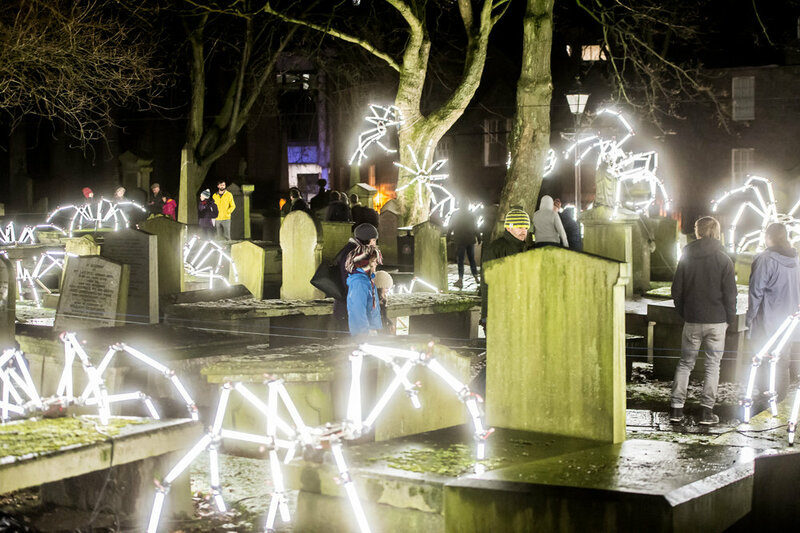 Inviting audiences to engage with playful, accessible and high quality installations, performances, spaces and works of art that married light, sound and interactive experiences. The basis for an Aberdeen Festival of Light dates back to 2010 with the launch of Vibrant Aberdeen, the City’s Cultural Strategy. The festival was established in Aberdeen to improve the city’s cultural offer in the quiet winter months to attract national and international attention, boost the evening economy and appeal to broad audiences by creating a family friendly atmosphere bringing economic and social benefits to the city. In the past three years we have developed one of the stand-out cultural events in the North East which has doubled its audience numbers each year and established a highly-regarded cultural event which engages the local community and attracts audience and artist nationally and internationally. The programming is deliberately an eclectic mix of large-scale public realm light art accompanied by more intimate, artistically challenging and thought provoking work resulting in a festival that is accessible as well as introducing audiences to art they will never have seen before.